Once you start exploring Dublin, learn the important sightseeing spots and the best places to eat and socialize, it easily becomes a city you love! It seems that whatever you want to experience – culture, history, gastronomy this city has it all. 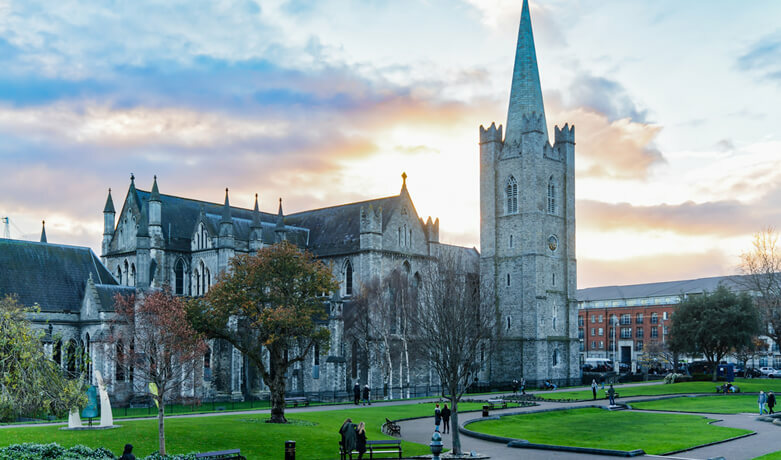 However, if you were to visit Dublin in one day, then you’ll definitely need a carefully planned itinerary to fit in all the fascinating attractions. This article will help you do just that, so read on and learn about all the Must Do Dublin hotspots you can see in just one day. 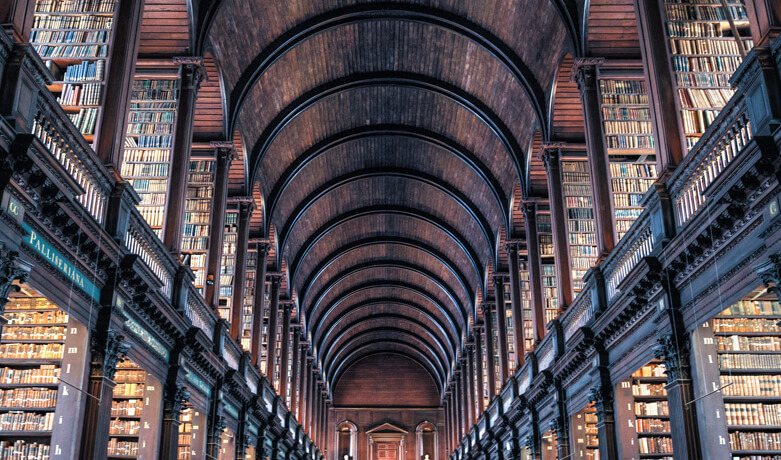 We start our Dublin tour with Trinity College, which is Ireland’s oldest university and is a neatly situated complex of impressive 18th and 19th century buildings. It is also the home of the famous book of Kells, which is an incredible manuscript in Latin written about 800 AD. And, if you want to explore a huge library with more than 200,000 books, then this is the place to be. After a must-see Trinity college tour, you can continue your journey at the good old Dublin Castle, located in the heart of historic Dublin. An interesting element to this site is behind Dublin Castle in the garden, which is assumed to have once been a pool as Dublin’s name means Black Pool (dubh linn in Gaelic). 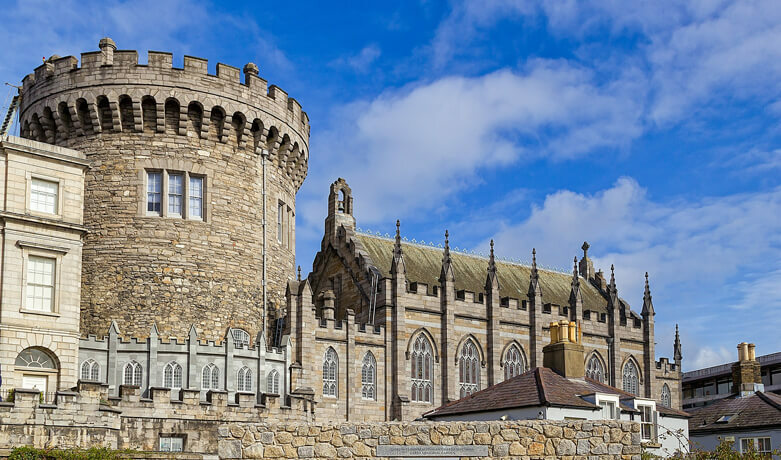 History buffs will also enjoy visiting Dublin Castle as it was the location where Michael Collins came to ceremoniously take the keys to Ireland, after which the British flag came down and British troops rapidly left. Today, there is just a remnant of the original fortification, but within it some of Dublin Castle’s previous grandeur remains and it houses some museums as well as the ancient remains of a Viking fort. We would think that by now, you are probably hungry, so we would suggest heading north from the castle. Right beside the River Liffey is the part of town known as Temple Bar. 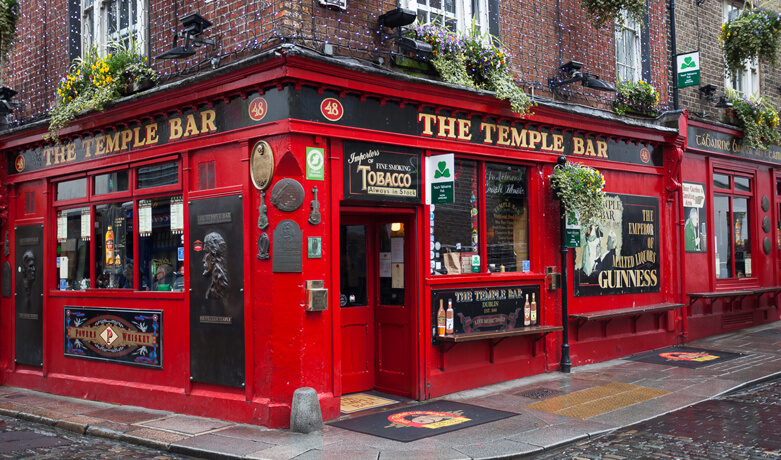 Temple Bar is a busy riverside neighbourhood with loads of pubs, shops, art studios and cafes. The crowded pubs host live folk music and DJ sets, and diners pack restaurants serving Asian, American and Irish cuisine. The energy of the place is really something special and if you want to hang out, this is the place to be. If you still have the time and energy we recommend to go back to the castle and then head southwest. Just ten minutes away is Saint Patrick’s Cathedral. This is also the place where Jonathan Swift was buried. It’s really worth checking it out because of its architecture and all the history related to it, but don’t be surprised if you see a lot of tourists when you get there. Dublin is absolutely stunning by night. The numerous city lights, the bridges you can find all over the place and the architecture all contribute to a beautiful atmosphere. But, if you are in for some fun, then treat yourself with a Dublin pub tour. One of the easiest things to do in Dublin at night is to just sit down in one of the pubs, order yourself a pint of Guinness and enjoy the lively atmosphere of these places. There are literally hundreds of them all over the city, so you really shouldn’t have any trouble finding one.